Gandhi said people were promised Rs 15 lakh in their accounts when in reality it is being given to corporates by the current regime. 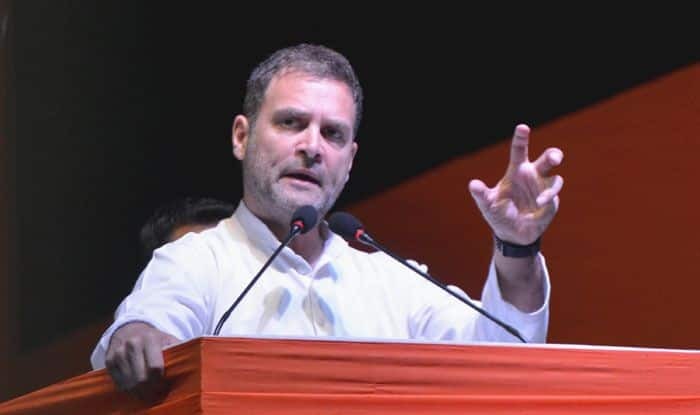 Congress President Rahul Gandhi said on Wednesday the ‘Nyay’ income guarantee scheme would be a surgical strike on poverty and its announcement has ensured the BJP’s defeat in the Lok Sabha elections. Taking a dig at Prime Minister Narendra Modi, he said several lakh crore rupees were given to corporates by the current regime, while people were made false promise of Rs 15 lakh in their accounts. “I had said Rs 15 lakh promise is not possible. We will give Rs 72,000 per annum to 20 per cent of the poorest. It will bring 25 crore people out of poverty,” Gandhi said while addressing national convention of the party’s OBC unit. The Congress leader said the announcement about the “historic” Nyay scheme by the Congress had scared Modi. “Have you seen his face today? I saw fear,” he told the gathering, adding the Modi government was going to lose elections to the Congress.